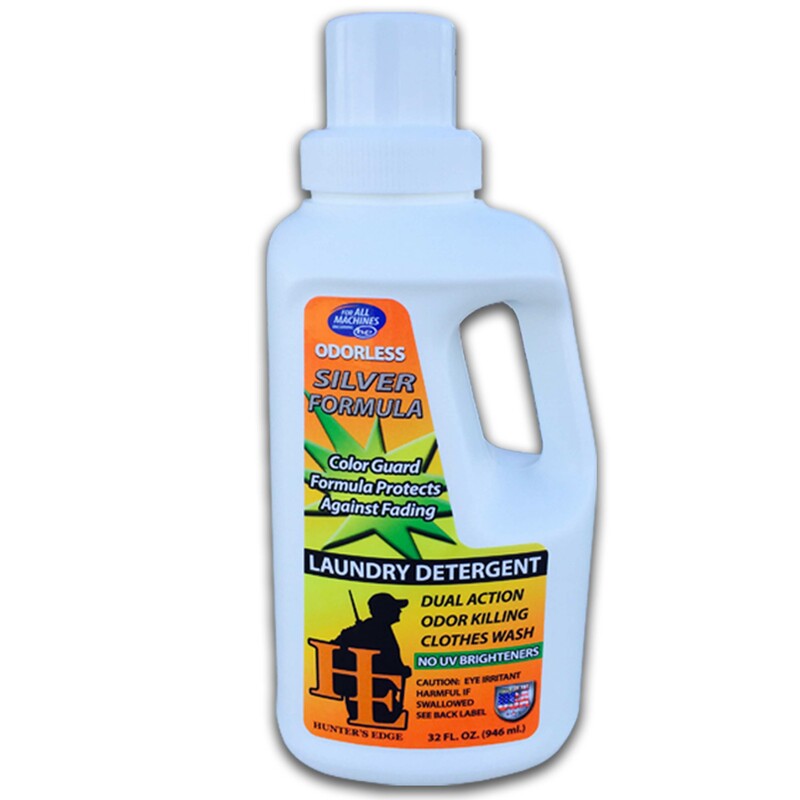 Hunter’s Edge LAUNDRY DETERGENT with SILVER is a dual action product. 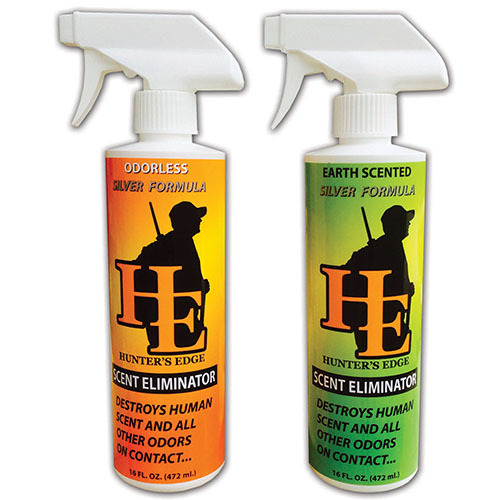 Our base formula destroys human scent, smoke, gasoline, and food odors during the wash cycle. 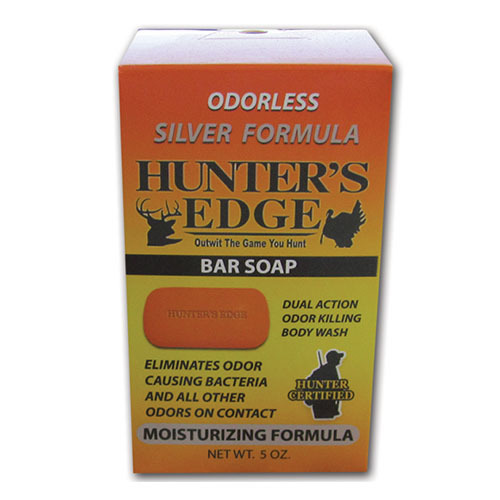 Then, we use patented silver particles to destroy bacteria at the molecular level. These particles remain in the fibers of your clothing for up to 24 hours after washing and prevent odor-causing molecules to form into a gas, which causes human scent. 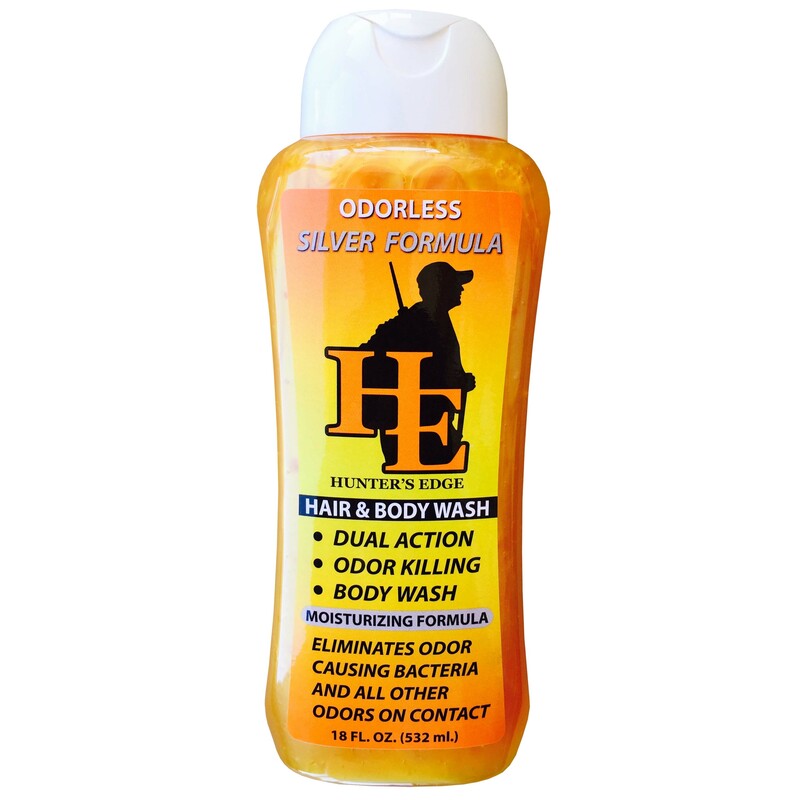 Our formula leaves clothes clean, soft and scent free.